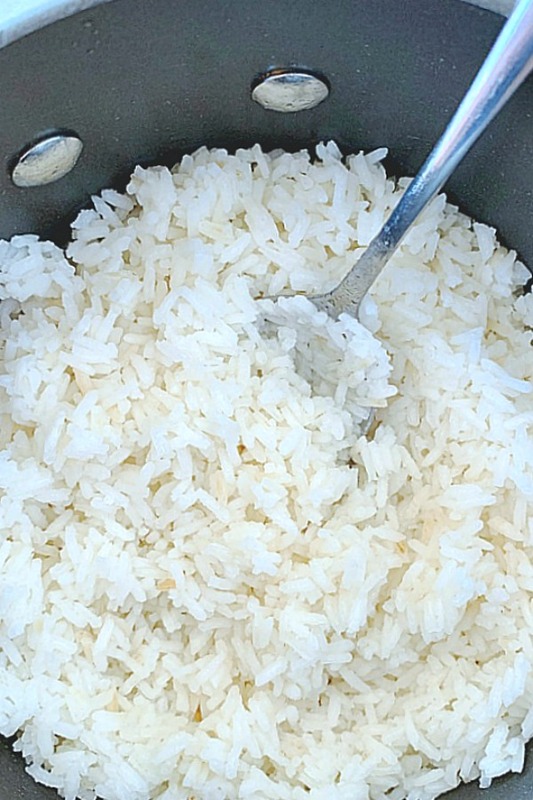 A comprehensive (and easy) guide with a cooking video for how to cook rice on the stove. Toast your rice. I’m just going to say that right off the bat. This is why my recipe is unique. Toasting the rice in oil (or butter) before adding the water makes such a difference in the final result. It’s a common technique for risotto. So I’m not sure why it’s not mentioned more often for cooking a standard pot of rice. Why Cook Rice on the Stove? Because it is so easy! You don’t have to wait for an Instant Pot to come to pressure (and make sure to clean it thoroughly after). You don’t have to buy a special rice cooker (which you’ll then have to find a place to store). I was talking to a friend over the holidays about rice and what a mystery it seems to many people. So I decided to take the mystery out of it. I like using a pot that is both non-stick and that has a glass lid to cook rice (so I can watch the progress without having to remove the lid). This is the pot that I use. I cook on a gas stovetop. My rice is finished cooking in 15 minutes. It may take a bit longer on an electric stovetop – maybe 16 to 18 minutes. Instead of vegetable oil you can use butter or coconut oil. This is the brand of rice I use most often. This recipe can easily be doubled but you’ll need a bigger pot. 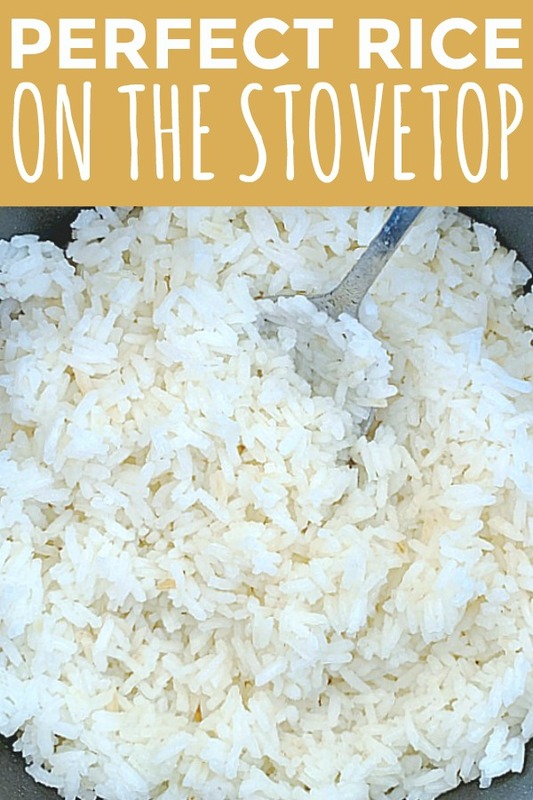 A comprehensive guide for how to cook white rice on the stovetop. This recipe includes the important step of toasting the rice first. Add the oil to a non-stick pot and heat over medium heat. Add the rice and salt. Cook for a couple of minutes, stirring often, to toast the rice a bit. Bring the rice to a gentle boil. Turn the heat to low and cover the pot. You want the rice to gently simmer. Low heat on a gas stove is plenty for simmering. If cooking on an electric stovetop, you may need to set the burner to medium-low heat. Cook the rice, with the lid on, for 15 minutes, or until the water has been absorbed. I use my rice cooker (which was actually a present) for rice to be served with Indian or Thai food but yes, for risotto my Italian hubby ‘cooks’ the rice before adding the liquid (usually broth). I think it’s a good idea to do it when cooking rice on the stove top. Adds flavour! Agreed. I was surprised when I Googled “how to cook rice” that the top posts did not mention toasting the rice first. 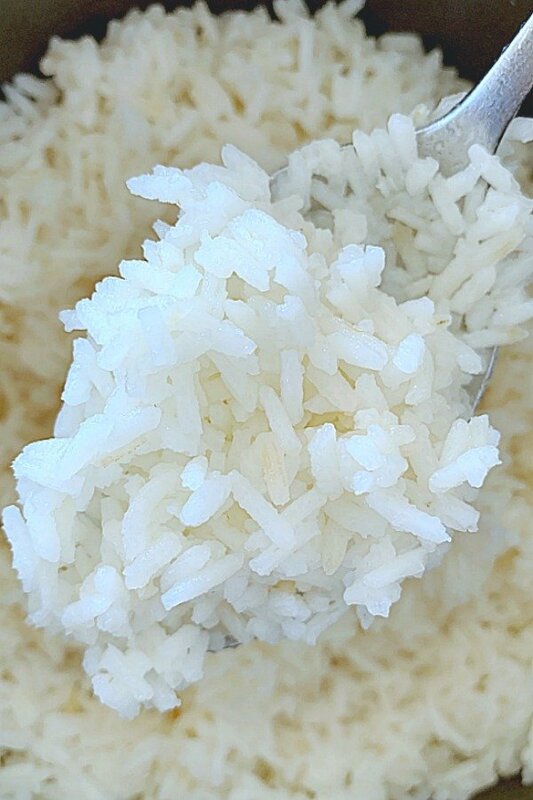 I have never tried to toast white rice before! this is such a great idea and i have to try it. II can’t believe ive never tried it! I agree, cooking rice is so easy on the stove top! Your rice looks excellent. I can’t wait to try it out! It really is. Even with my recent kitchen remodel, I don’t have extra room for things like a rice cooker. I can’t even store my Instant Pot in my cabinets! So I always cook rice on the stovetop. 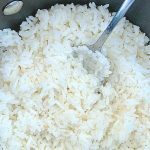 I gave away my rice cooker because I like cooking it on the stove so much better, it’s just so easy, and as you say, it’s one less gadget to store and clean. Great post! I had no idea there was so much to know about making rice! Thanks for these tips. Wow you’ve thoight of everything. I’ve been using a similar method for years but have never added oil (or any other fat for that matter) will give this a go! I think it really helps with the flavor and texture. I would never eat plain rice without fat. But this way I can make a meal out of just a plain bowl of rice with some chicken on top. This is such a handy guide to use bc we make rice weekly at my house. It’s one thing all my kids will eat and I love to have leftovers at the ready. I never toast it but need to try that for some extra flavor! 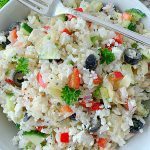 Same – my kids will always eat rice. Fresh or leftover! Thanks for this helpful post! 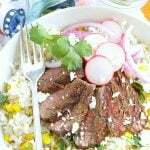 I’ve never cooked great rice on the stove, so I’m bookmarking this for later! Great! Come back and report how it goes. I am terrible at making rice! Im so glad i found this! Thank you! You’re welcome. And you are definitely in good company! Yay for no more burned rice! 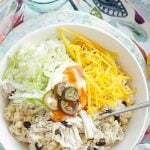 That is such a flavorful way to cook rice! Amazing! Looks perfectly cooked! Great tutorial!